I am SO excited that I now have a new item in my brand new shop! Instead of highlighting a list of what your family CAN'T do on the Sabbath, focus on what you CAN DO! 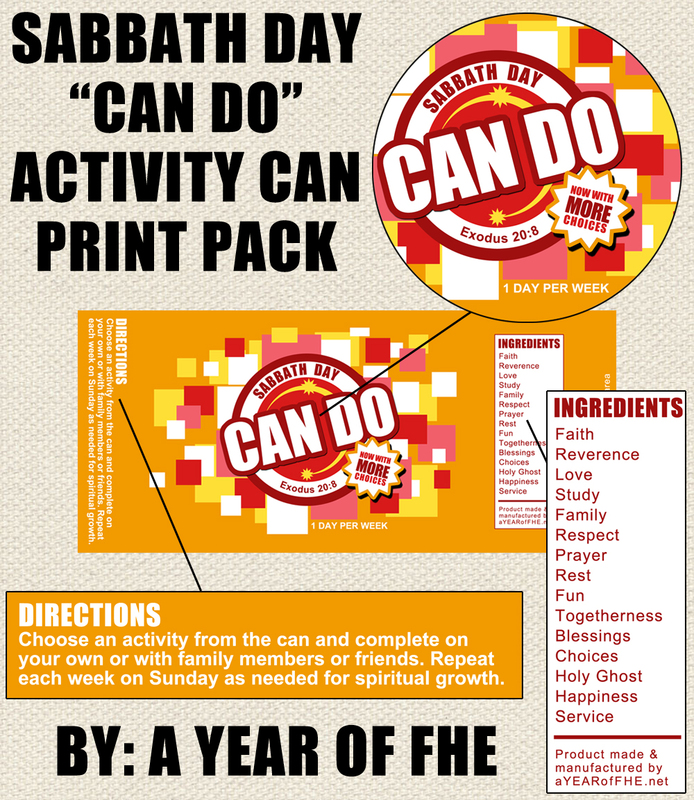 Buy this digital pack and print it out at home for an easy and FUN way to observe the Sabbath Day and teach your kids about activities they CAN DO. Comes with full instructions, printable can label, and 60 activity circles -- 40 with pre-written activities and 20 that are blank and can be filled in by you! Also includes an accompanying Family Home Evening lesson with song, scripture, lesson, and activities. Here's a closer look at all of the fun stuff that is on the label I designed just for this project! I loved making this and hope your family loves using it as much as ours does!